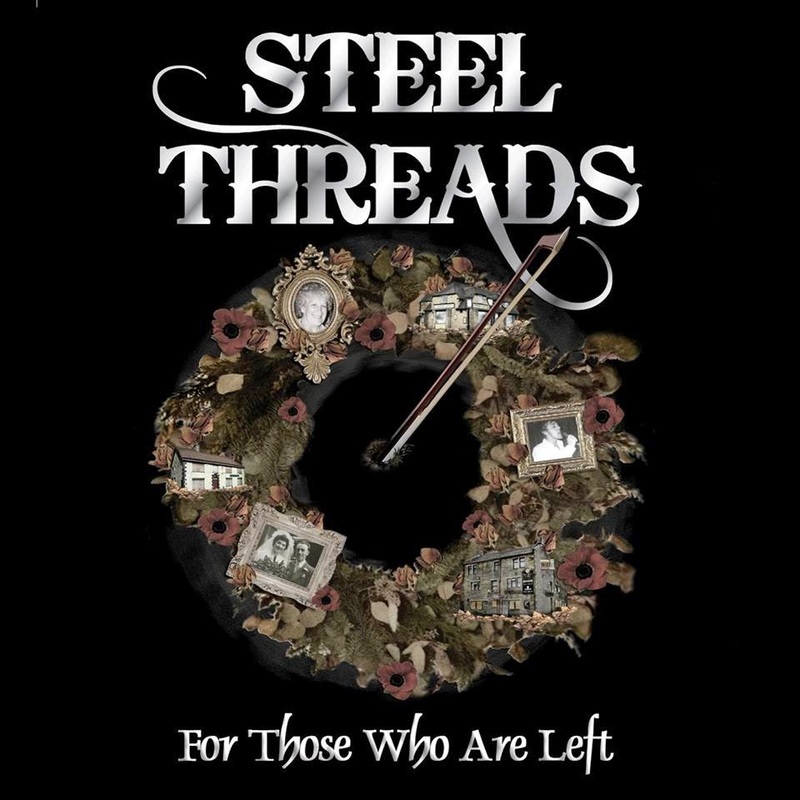 Rock Review Phil: Steel Threads "For Those Who Are Left"
One type of music I haven’t reviewed yet (because up to this point I’ve never been given any of it) is folk rock. My interest in folk rock stems more toward the more edgy stuff from the classic rock days; Crosby, Stills and Nash, Neil Young (with or without CSN,) Joni Mitchell¸ all that good stuff. I do however enjoy bands that play a more prominently traditional folk, perhaps bands with a bit of a pop fusion mixed in such as The Strumbellas, a Canadian band that was brought to my attention in early February, and then there is of course Mumford & Sons. Love them or hate them, I respect people’s opinions on them, I am a fan. I saw them live late last summer and thoroughly enjoyed their show, and I do think they are quite unique. But this article is about a very different traditional folk rock band, Steel Threads. Rather than being a full band with a variety of different instruments typical to folk music (acoustic guitars, violins, fiddles, even banjos and whatever else you can name), Steel Threads has just two members; Neil Wardleworth on vocals, guitar and bass drum and Laura Wilcockson on Violin and Vocals. There is also bass played on most songs by the producer Stuart Eastham, but the band classifies themselves as a duo, and this impresses me because their songs sound so full that it really is hard to believe so few musicians took part in playing on them. The opening track of their album For Those Who Are Left is Believe, which is a good example of their sound. Acoustic guitars carrying the perfect musical rhythm with just a bass drum to lay down the beat all underneath terrifically harmonized violins, topped with Neil’s lead vocals complimented with Laura’s vocal harmonies. Other songs such as Disappear, It Goes On and New Song follow similar structure, but each has their own unique and well written melodies. Then there are songs with mixed influences such as All My Time (which features both Neil and Laura sharing lead vocals) which has a strong country influence to it, with its jumpy beat and the way Laura plays the violin. It reminds me of how Charlie Daniels plays his fiddle (and no I’m NOT only referring to The Devil Went Down To Georgia). There is a dark undertow on The Boy Who Lost His Way to add to the different influences the album features. There are some pretty beautiful moments on the album. For example, Beautiful Friend is the perfect ballad. Few independent bands that have given me their music include ballads lately, but of the few that have, not many of their ballads have provided as much pure emotion and thoughtfulness as I feel Steel Threads put in to this song. The waltz song Take This With You not only further shows the bands ability to write songs that sound rather different from one another with the few instruments and few members that they have provided, but it also shows that Steel Threads can write more than one great sounding ballad. Laura has one song on For Those Who Are Left in which she is the sole lead singer; that song is Follow You. It follows the standard structure of songs such as Believe and Disappear, though it is slower in pace. It’s not a ballad, nor is it dark. It’s actually quite nice and I like hearing Laura sing lead for once, not only to change things up but also just to really see what she’s got. While I believe, judging by Follow You, that she is a more suited harmonizing vocalist than a lead vocalist, she does make the best of her time with the microphone. The album ends with somewhat of a suite. Title track For Those Who Are Left ends right where closing track Twisted Up begins. Both songs are completely different however; the former is very dark and slow while the latter is a cheery country folk song similar to All My Time, but a tad more serious sounding. Both add up to make a good close for the album as both tracks remind listeners what made listening to this album a rather special enjoyment by mixing so many of the albums many influences in to the two tracks. As mentioned, the most impressive part about For Those Who Are Left and Steel Threads in general is that they are just a duo, yet they sound as full as a quartet at times. There is a definite uniqueness to their brand of folk rock; edgy vocals from Neil, an abundance of influences from dark undertows to waltz’s, and most importantly there is some pretty intelligent song writing, both lyrically and musically, as I believe there isn’t much negative to say about the band. I wonder how future recordings will sound given the few instruments and fewer band members, but as of now I have faith that the future of Steel Threads is something I look forward to listening to. “The Boy Who Lost His Way” –­ I believe this is one of those albums where any song could be the highlight, given the many different styles explored within. I personally don’t have a favourite song, it’s not easy to choose one, so that makes it even harder to pick the highlight (as usually when I’m stumped for a highlight, which isn’t often, I just pick my favourite track) but there are songs that I feel stand out over others, and it won’t typecast first time listeners opinions of the band the way I fear other songs would. For example, should someone listen to a song like All My Time first before anything else, I worry they’d think of Steel Threads as a country band and not hear anything else out of their music. There is just unfortunately no video that I can provide for listeners to hear.